PASADENA, Calif. -- Near the center of a Martian crater about the size of Connecticut, hundreds of exposed rock layers form a mound as tall as the Rockies and reveal a record of major environmental changes on Mars billions of years ago. The history told by this tall parfait of layers inside Gale Crater matches what has been proposed in recent years as the dominant planet-wide pattern for early Mars, according to a new report by geologists using instruments on NASA's Mars Reconnaissance Orbiter. "Looking at the layers from the bottom to the top, from the oldest to the youngest, you see a sequence of changing rocks that resulted from changes in environmental conditions through time," said Ralph Milliken of NASA's Jet Propulsion Laboratory, Pasadena, Calif. "This thick sequence of rocks appears to be showing different steps in the drying-out of Mars." Using geological layers to understand stages in the evolution of a planet's climate has a precedent on Earth. A change about 1.8 billion years ago in the types of rock layers formed on Earth became a key to understanding a dramatic change in Earth's ancient atmosphere. Milliken and two co-authors report in Geophysical Research Letters that clay minerals, which form under very wet conditions, are concentrated in layers near the bottom of the Gale stack. Above that, sulfate minerals are intermixed with the clays. Sulfates form in wet conditions and can be deposited when the water in which they are dissolved evaporates. Higher still are sulfate-containing layers without detectable clays. And at the top is a thick formation of regularly spaced layers bearing no detectable water-related minerals. 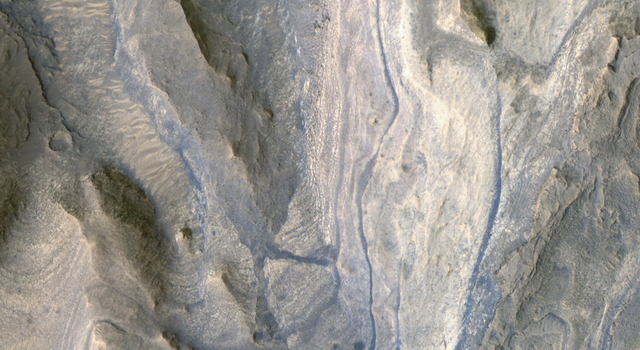 Rock exposures with compositions like various layers of the Gale stack have been mapped elsewhere on Mars, and researchers, including Jean-Pierre Bibring of the University of Paris, have proposed a Martian planetary chronology of clay-producing conditions followed by sulfate-producing conditions followed by dry conditions. 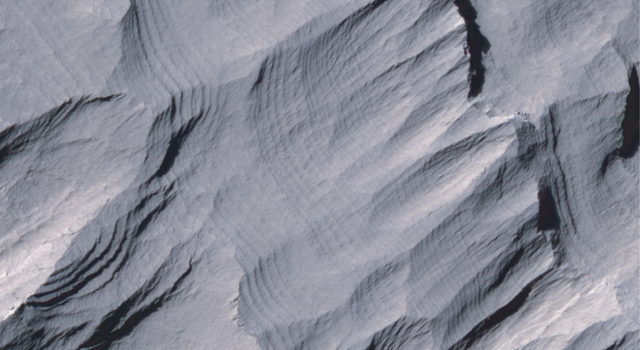 However, Gale is the first location where a single series of layers has been found to contain these clues in a clearly defined sequence from older rocks to younger rocks. "If you could stand there, you would see this beautiful formation of Martian sediments laid down in the past, a stratigraphic section that's more than twice the height of the Grand Canyon, though not as steep," said Bradley Thomson of the Johns Hopkins University Applied Physics Laboratory, Laurel, Md. He and John Grotzinger of the California Institute of Technology in Pasadena are Milliken's co-authors. NASA selected Gale Crater in 2008 as one of four finalist sites for the Mars Science Laboratory rover, Curiosity, which has a planned launch in 2011. The finalist sites all have exposures of water-related minerals, and each has attributes that distinguish it from the others. This new report is an example of how observations made for evaluating the landing-site candidates are providing valuable science results even before the rover mission launches. Three instruments on NASA's Mars Reconnaissance Orbiter have provided key data about the layered mound in Gale Crater. 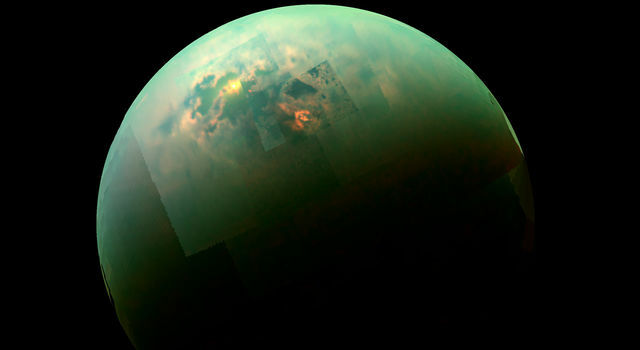 Images from the High Resolution Imaging Science Experiment camera reveal details used to map hundreds of layers. 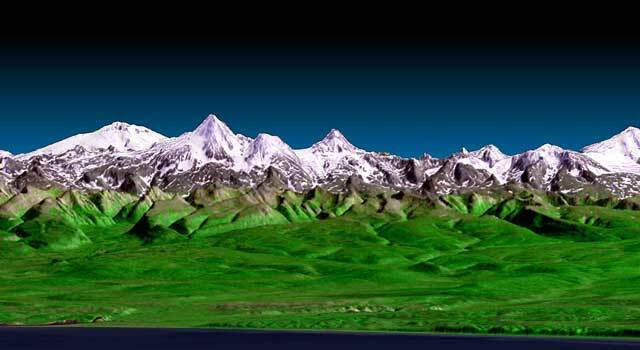 Using stereo pairs of the images, the U.S. Geological Survey has generated three-dimensional models used to discern elevation differences as small as a meter (about a yard). 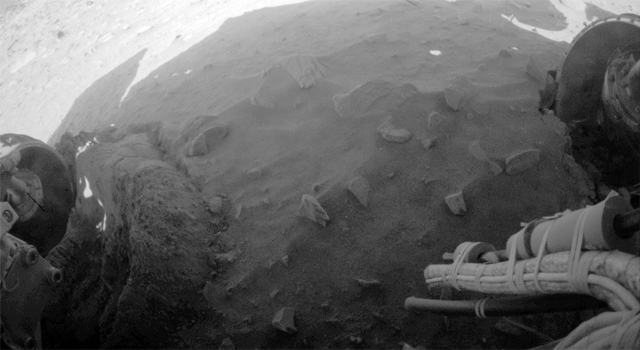 Observations by the Compact Reconnaissance Imaging Spectrometer for Mars yielded information about minerals on the surface. The Context Camera provided broader-scale images showing how the layers fit geologically into their surroundings. Thomson said, "This work demonstrates the synergy of the instruments on the Mars Reconnaissance Orbiter. We wouldn't have as complete a picture if we were missing any of the components." The mission has been studying Mars since 2006. It has returned more data from the planet than all other Mars missions combined. More information about this mission is at http://www.nasa.gov/mro. Malin Space Science Systems, San Diego, provided and operates the Context Camera. Johns Hopkins University Applied Physics Laboratory provided and operates the Compact Reconnaissance Imaging Spectrometer. 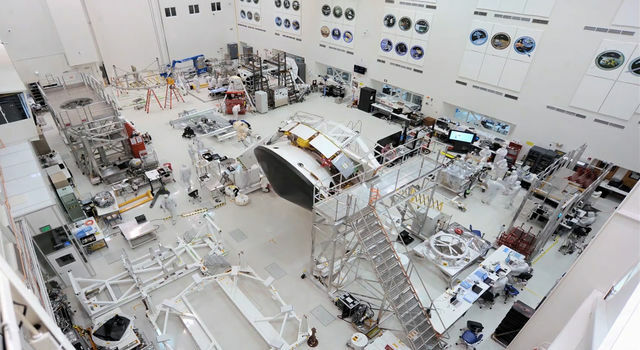 The University of Arizona Lunar and Planetary Laboratory, Tucson, operates the High Resolution Imaging Science Experiment, which was built by Ball Aerospace & Technologies Corp., Boulder, Colo.
JPL, a division of Caltech, manages the Mars Reconnaissance Orbiter for NASA's Science Mission Directorate, Washington. Lockheed Martin Space Systems, Denver, is the prime contractor for the project and built the spacecraft.